The start of Autumn in the UK is signalled every year by an amazing variety of squashes, in myriad colours and sizes. Most of us know our way around a butternut squash or a common halloween pumpkin, but there are tonnes of other varieties, all with different textures and flavour profiles. There's spaghetti squash – a beautiful golden squash that cooks down into pasta-like strands; creamy varietes like onion and delicata; and others like acorn, kabocha and turban which have an intense nutty flavour. 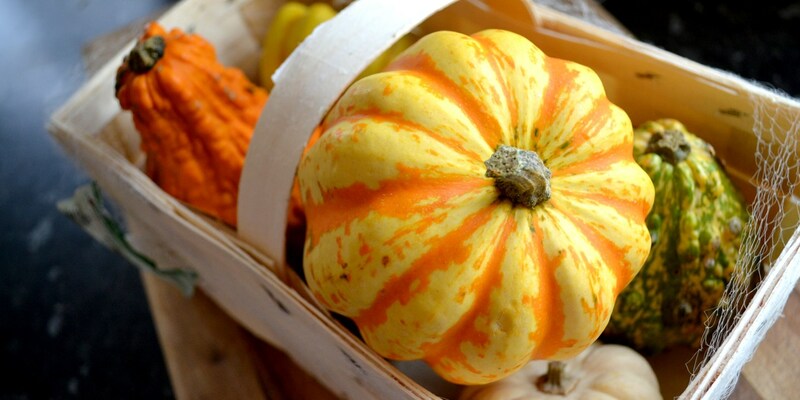 Simply put – if you think squashes are boring, maybe you just haven't tried the right one! Once you've decided on a variety, there's lots you can do with a squash. Risotto is a popular and traditional choice in Italy – Josh Eggleton's spelt, barley and squash risotto is a lovely example of squash risotto done well. Soups are a nice winter warmer too – squash gives lovely creamy texture to soups and stews, and you can take the flavour in lots of different directions. Anna Hansen uses galangal, lemongrass and tamarind in her butternut squash laksa, whilst Shu Han Lee uses miso in her chunky butternut squash miso soup, and Dominic Chapman goes for a more classical approach with his butternut squash soup. Squash is wonderful in pasta dishes too, or you can just roast it on its own as part of a meal. Take a look at our full collection of squash recipes for more inspiration.